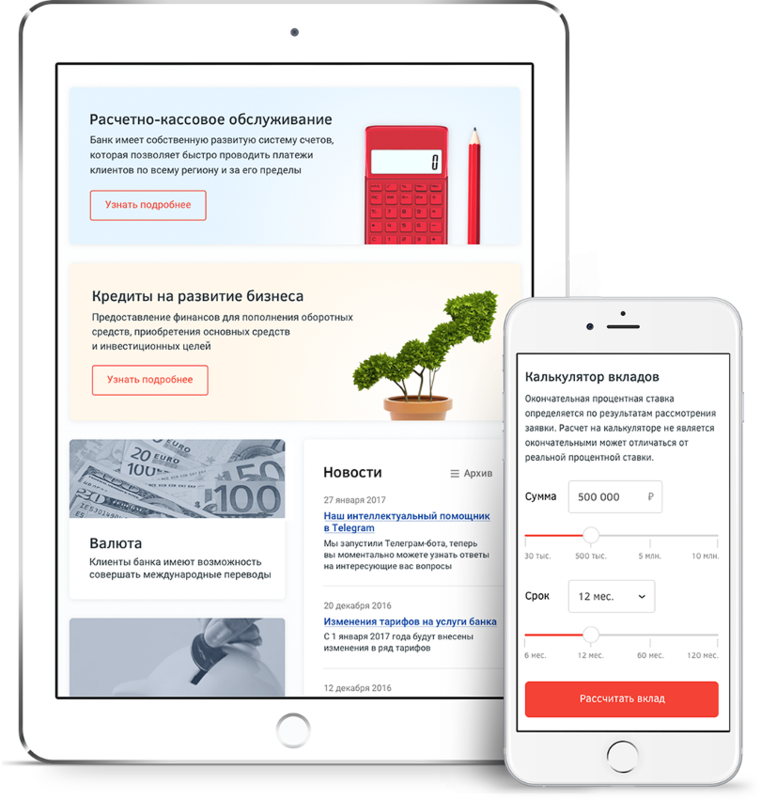 Bank Perm is one of the oldest financial entities of modern Russia. It has been serving its clients for more than 27 years and has acquired an excellent reputation amongst them. 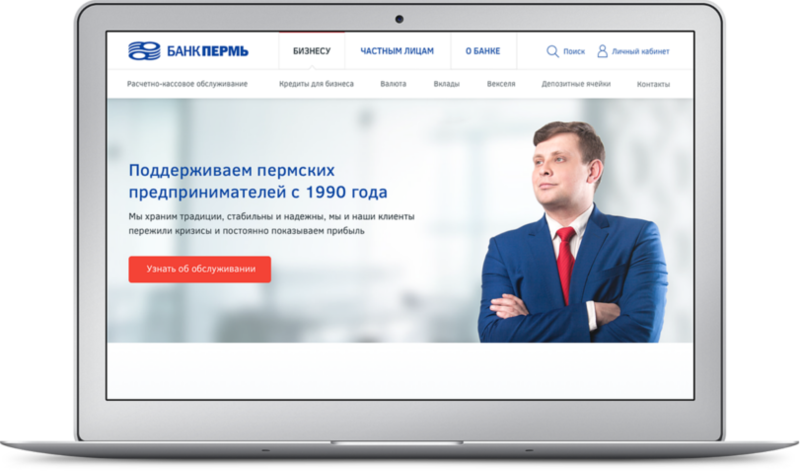 Our aim was to create a moderate and discreet, but also modern and functional site that would correspond the status of the bank. We revised the structure of the site and optimised it. New design with big sections (forms?) and bright but moderate accents was layed on this simple and convenient base. 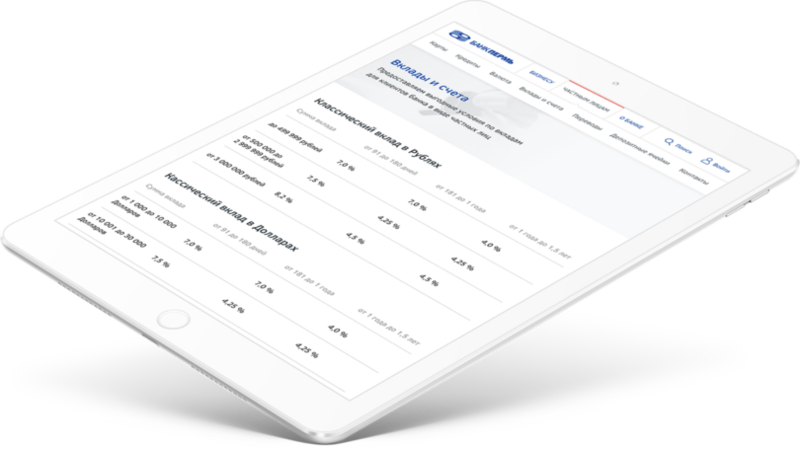 The new site shows all available financial instruments without tiring a client with lots of petty details. Besides the new design is adaptive, that means that the site looks smart both on desktops and on all types of mobile devices. Thanks to our developers, now the clients have got an opportunity to use all financial instruments online with ease and comfort. The site has got an online credit calculator, deposit calculator and handy application forms. Fast feedback through popular instant messengers and online voice-calls is available. As the number of claims increased by several times, we also optimised the system of gathering claims by bank clerks. The technical basis of the site is static generator (? ), so the site is quickly loaded and highly immune from network hack. 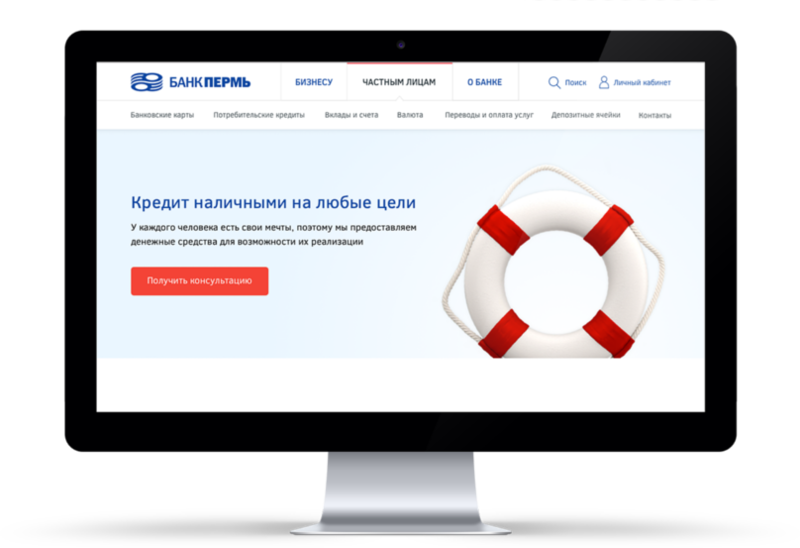 Finally, bank workers benefitted from the convenient content management system: administration of the site became pretty handy, any page of the new site can be updated instantly.